In this highly competitive world, WordPress developers will often take low paying projects as a means to kick-start their career and build a portfolio. Starting with a low cost gig is an oft-used method and scores of developers will attest to its effectiveness. While this method does knock at the door of possibilities, it also opens the way to several problems. If they’re not careful, developers can find themselves trapped in low paying projects, with little to no job satisfaction and barely making ends meet. In this post, we will discuss means and strategies a WordPress developer can employ to escape from the yoke of low budget projects and make more money while catering to fewer, higher paying clients. So you started with low paying clients and things seem to be okay. Money trickles, but it is way better than the worry and uncertainty of having no clients at all. This is a false comfort zone; it may seem to be working, but it is a bad idea. Let us review why. The low paying concept is simple: a lot of work, a lot less money. Developers caught in this situation often find themselves burning the midnight oil in an attempt to make ends meet. It isn’t exactly rare to have several clients at once, and developers end up spending a lot of time managing clients rather than working on their projects and earning money. The resulting low job satisfaction is always a problem. After all, it is tough to love a job that has you slugging through the field all day and offers little in terms of monetary compensation. Working at the bottom of the food chain is no one’s dream – certainly not that of a web developer with skills to do much better. In a way, working for low prices sets off a vicious feedback loop. You’re spending so much time trapped in jobs that scrape the bottom of the barrel, there is no time to look for opportunities elsewhere. Your business growth has effectively been stunted. As a developer, do not aim to have a plethora of clients. Instead, you should be focusing on acquiring and retaining fewer, better paying clients. There are no economies of scale when you’re building custom sites. Each client has to add value to your business and portfolio. It will always be easier to handle one $5,000 client, rather than dealing with ten $500 clients. But let’s be honest – even these hypothetical numbers are rarely achieved. Those of us who have seen the freelance market are rarely surprised to see people willing to build websites at a hundred dollars or less. Usually such aggressive pricing will prompt developers to lower their rates to match, thereby perpetuating the barely sustainable circle of price cuts. When you find yourself in a situation like this, remember to play on your strengths. Waging a price war against freelancers from the developing world will not do you any good. Instead, choose to rely on quality and delivering a service that your competition may not be able to provide. There’s more to handling better paying clients. You will have comparatively more time and resources to dedicate to your work. You won’t be in a hurry to complete the job and move on to the next one for the sake of paying your bills. These little things are what translate into job satisfaction, and you can start taking pride in doing the things you love. Edge out your older, lower paying clients. Let them know you’re moving to a new pricing structure. If they’re willing to continue at the new prices, awesome, bring them onboard. Otherwise, meet your obligations, complete the job and end the project professionally. Never burn bridges, that achieves nothing in professional settings. A SWOT (Strengths, Weaknesses, Opportunities and Threats) analysis is an excellent place to start. Know the talents you can capitalize on, the opportunities that can be exploited and find ways to deal with your weakness and outside threats. Once you have a clear SWOT analysis, position yourself in a niche that caters well to your strengths and has the opportunities you need. Weaknesses can be dealt with by more training or, if needed, by outsourcing. A well executed website is an excellent testimonial to your work and capabilities. Show off some past projects that you are proud of or create display items to highlight your skill and capabilities. Testimonials from previous clients greatly help in shaping the perception of prospective clients. Ask your clients for feedback and referrals. So you’ve got your business website up and running. The next step of course is to let people know of your business. Offer something to the site visitors – newsletter subscriptions and free e-books related to your niche will have people taking notice of you. You could also write tutorials and blog posts relating to your skills and strengths. You’re not giving away your secrets; you are teaching others who will see your website as a great resource and bring some much needed exposure to your business. The WordPress repository has thousands of free plugins and themes. Put your skills to use and code one that suits your work. Contributions like these showcase your skill, help you reach more clients and add vigor to the open source development community that WordPress is. Several developers also leverage their free plugins as supplementary sources of income. 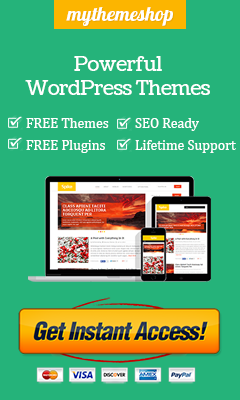 A plugin or theme can have a pro version with added capabilities and options. Networking is essential to every business. Meet prospective clients and have sales conversations with them. Pitch your ideas and make an offer. Don’t get disheartened if results don’t start pouring in – give yourself some time and don’t give up on the sales conversations. You can reach out to prospective clients at developer events and WordPress meetups. Online networks can make it way easier to reach out to prospective clients, so harness the power of Facebook, Twitter and LinkedIn. Having better paying clients is excellent and you may feel inclined to accept quite a few projects, but never accept more clients than what you can comfortably handle. Rather than having a jam-packed schedule where you hop from one project to the next, consider being generous with your attention to each project. This will leave some empty spaces on your timetable, and that’s a good thing. Working through the day and night is not the goal here. The goal is optimization and sustainability. Deadlines are sacred. Make it a point to reach them. In fact, your aim should be to beat them. Have a clear idea of what the client expects and what you are supposed to deliver. Leaving a communication gap gives rise to unwelcome notions and cause problems. Don’t promise what you cannot deliver and don’t be afraid to say ‘No’ to things that are beyond your contract. Perception plays an important role in pricing. Do not offer services for too little, but if you’re charging a higher price the client should not feel that you have overcharged and under delivered. Market ideas at a value and price that is amiable to perception. Ironic as that is, offering services at super low costs will generally not create a favorable impression. Unnaturally low prices will be perceived as low quality or suspicious, insinuating that corners have been cut. Focus on delivering a premium service that has value for the client. For example, offer websites that are future-proof for up to a year. Offer greater options with added value to make sure the client sees an ROI in your work. Nathan wrote a very good article about what Web Designers should expect for their salary. While there are variables that a developer may need to change, the constants remain more or less the same. At the very least, you have a roadmap to build your pricing structure. In a similar vein, this analysis can help you place yourself competitively in the market while catering to perception and average rates. Once you’ve achieved the above, you should be less stressed, more satisfied in your work, and better off for your efforts!